If I had to pick just one must-have product, it would be the Tuxedo Black Memento ink. It’s a fast drying, water-based dye ink, and it is my No. #1 choice when coloring stamped images with alcohol markers. Another advantage is the easy cleaning of the stamps. No scrubbing is needed as the water-based inks can simply be wiped away with a wet wipe. 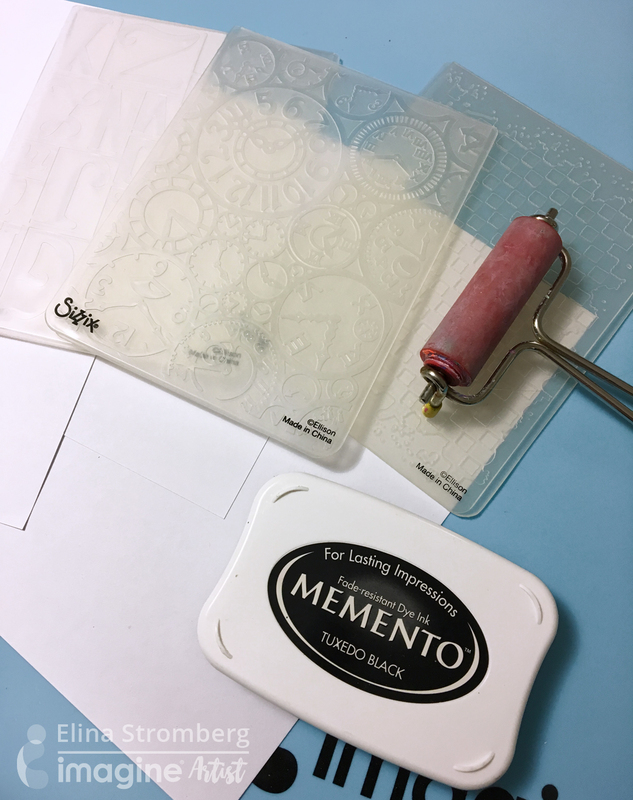 Because they clean so easily, Memento is a great ink for inking your embossing folders because they will not damage or stain your embossing folders. 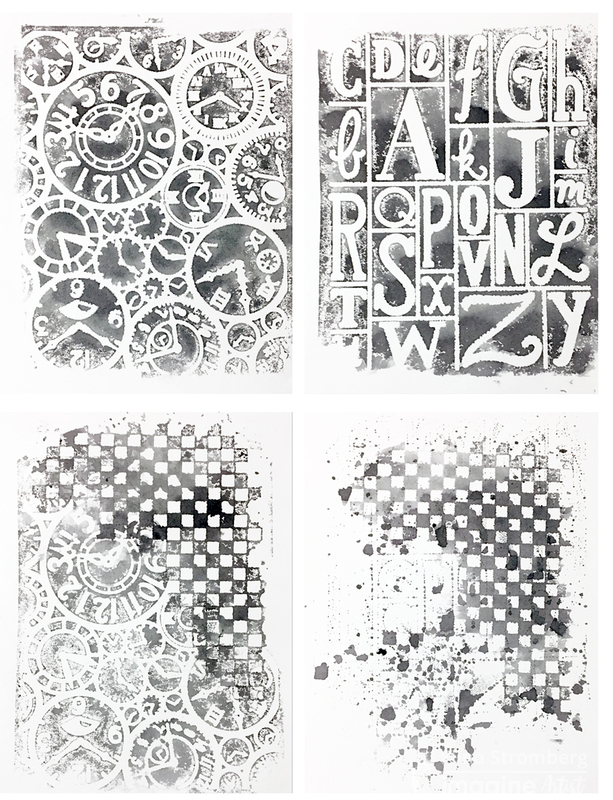 I used my Tuxedo Black for monoprinting a variety of cool black and white background textures that are perfect for cards, ATC’s and art journal pages. See how I did it.. 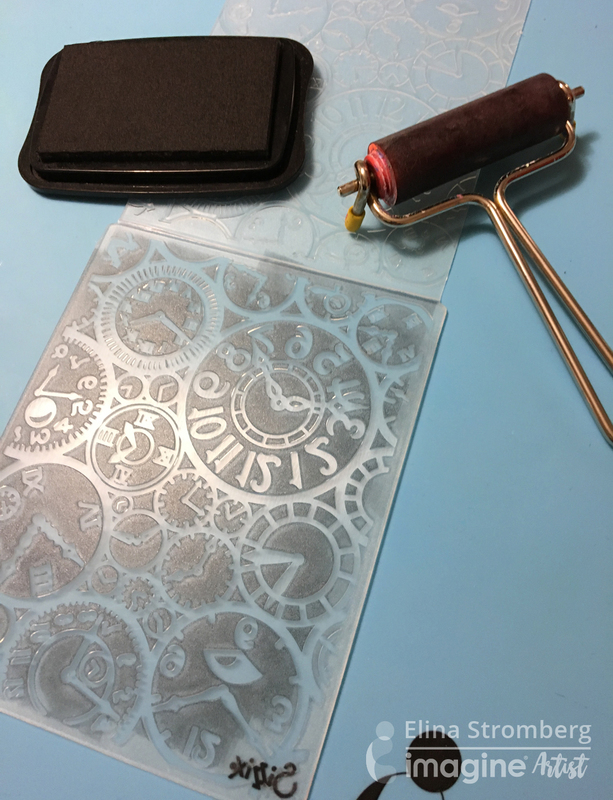 Gather all needed supplies: One or several embossing folders (any texture or pattern will do), Memento inkpad, brayer, and several sheets of white cardstock or watercolor paper. 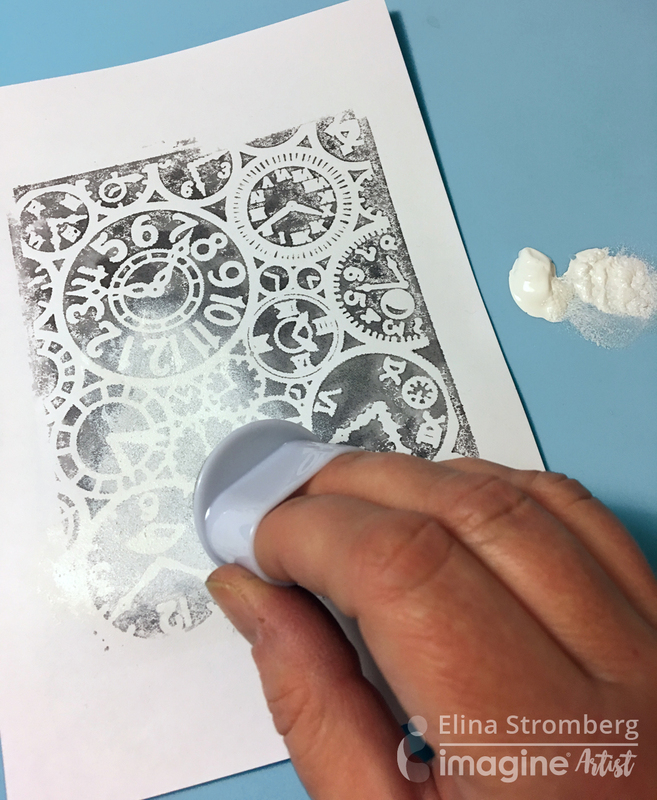 Using a brayer, ink one side of the embossing folder with Memento ink. If the folder image contains numbers or letters, make sure to ink the side with the mirrored numbers or letters. The folder can be also be inked only partially, allowing for two or several patterns to be printed on one page. Mist the inked surface gently with water. Place paper on the inked folder, press gently with your hand and pull the print. 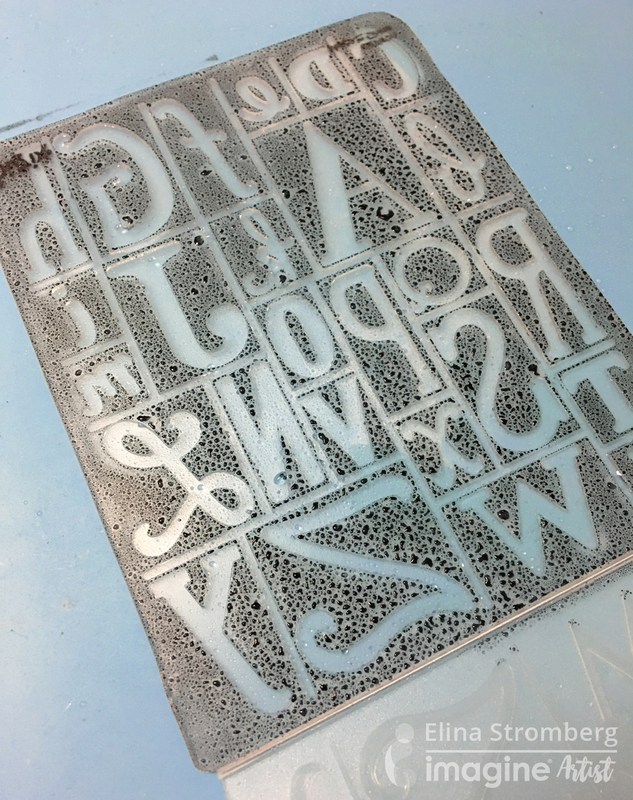 Set aside to dry, and rinse the embossing folder with warm water. If the printed panel is used as background for a stamped image dab white gesso or acrylic paint on the B&W pattern to calm down the busy background. Let dry. 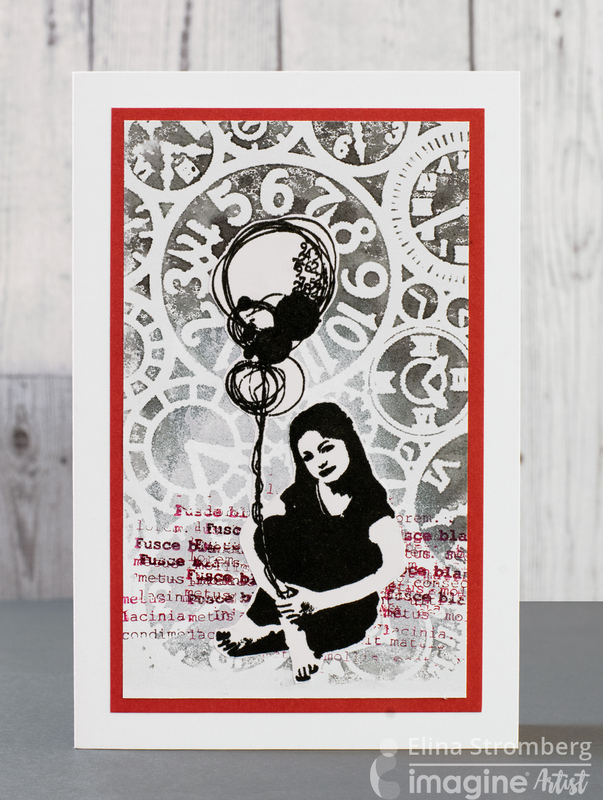 Add color to the black & white pattern by stamping textures with StāzOn in Blazing Red. 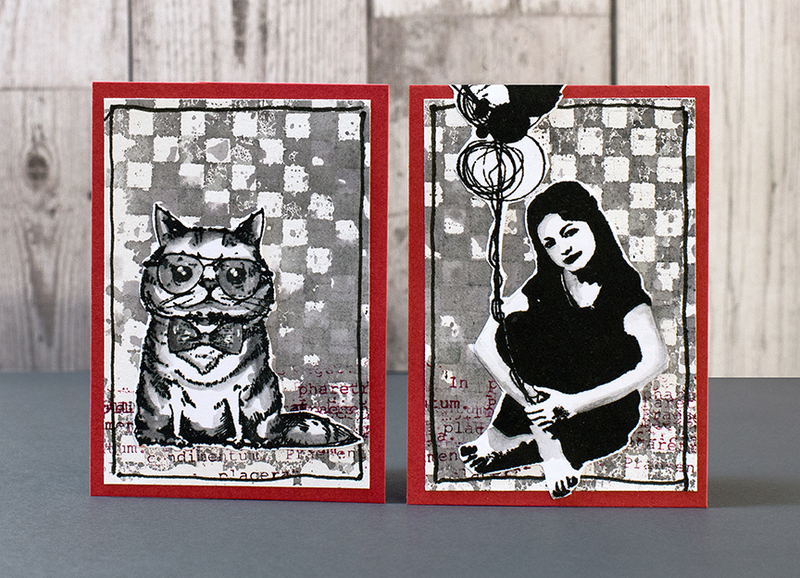 To use the backgrounds add a focal image and paste onto a card base. 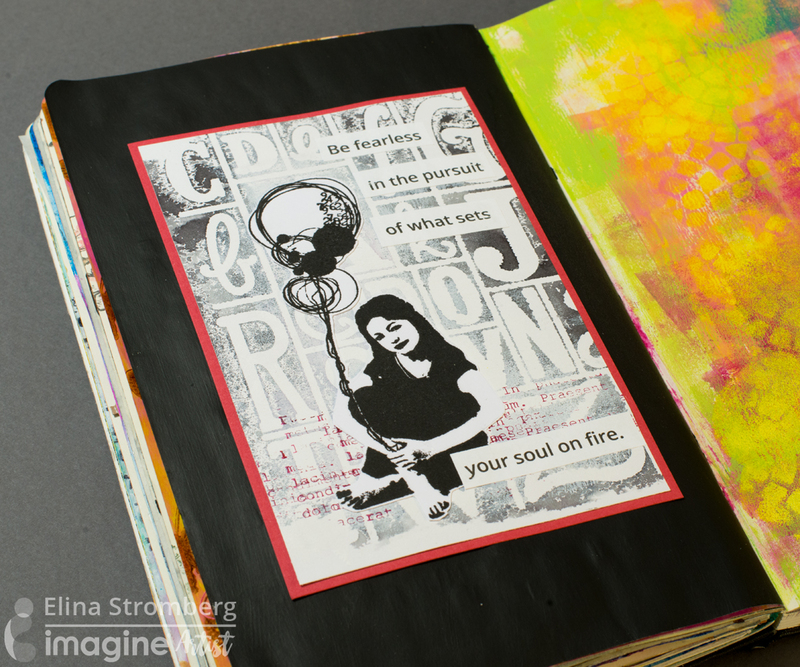 This entry was posted in 2018 ARTIST IN RESIDENCE, Cards, DIFFICULTY LEVEL, DIY, Elina Stromberg, Embossing, INSPIRATION, Intermediate, Mixed Media, PROJECTS, Techniques and tagged cardmaking, Cards, Embossing, embossing folder, Memento, Paper Crafting. Bookmark the permalink. I think this is a fabulous way to create backgrounds! I think adding the gesso is a great idea to soften the background for the main image too! Gorgeous creation.